Good news! You, too, can vacation in a luxurious waterfront villa overlooking the mythical terrain of Greece and its sublime islands. It takes little convincing to sway those looking to buy a second property in a paradisiacal setting to direct their search to Greece, one of the most beautiful destinations in the world, with its sublime landscape, idyllic climate, art, history, and culture in abundance. For decades, this southeastern European country has won the attention of a wealthy international population, a number of which have found high-end havens in the exceptional properties on the market in Greece. The real estate prices in Greece are very attractive, having experienced major reductions in recent years. Even more, interested buyers should consider its low tax policy and Golden Visa program: For a 250,000-euro investment, you and your family could be granted a 5-year residency permit. Bags packed? Whether you’re interested in an investment property, a second house to flee to when the mood calls or a retirement home in the land of gods and goddesses, you’re in luck. From the coastal areas of mainland Greece to the Saronic and Cyclades islands, the soil is rich with high-end real estate. Here’s a quick overview of where and what you’ll find on the Greek market. An affluent coastal resort situated at the southern tip of the Attica peninsula, the “Athenian Riviera” has attracted the Greek elite to its ritzy lifestyle and luxury real estate – many of which are extravagant beachfront mansions hidden on lush plots, complete with private docks and yachts. Whether it’s a waterfront estate in Glyfada, the so-called “Hellenic Hamptons,” or a high-end residence in the eco-friendly Varkiza, the call of the sea rings loud and clear. Rich in culture and heritage, the Cycladic Islands is located southeast of mainland Greece in the glistening Aegean Sea. Among them are the most famous of the Greek isles, such as Santorini and Mykonos, but also the lesser-known yet equally beautiful islands of Paros and Tinos. They offer authenticity and the quintessential image of traditionally whitewashed villas and cobalt-blue domes descending onto the azure. Here you can find rustic plots to develop, residential complexes with multiple villas, and cliffside luxury properties boasting views of a lifetime. The Saronic Islands is a gift from the past. Drifting off the historic Peloponnese peninsula in the Saronic Gulf, they are especially known for their archaeological sites and historical real estate renovated to meet standards of modern living. On the island of Hydra, discover aristocratic 18th-century mansions near the Old Port. While on the island of Spetses, visit the chateau-like hotels but stay in a neoclassical property by the sea. Buying a vacation home on the island of Corfu, a beacon of the Ionian Isles, is like finding a diamond in the rough. Like its cultural influences, the property market in Corfu is diverse: private villas in the hills with sea views on aromatic garden plots, waterfront properties just steps away from the sea, and beautiful residences with swimming pools and airy outdoor spaces. Some say Porto Heli is the new St. Tropez; others think of it as a cosmopolitan hangout, a harbor for the discreet luxury connoisseur. This upscale seaside resort specializes in high-end waterfront villas, extravagant mansions, sprawling palatial estates, and luxury hotels that are scattered among a coastal terrain of coves, golden bays, and hilltops overlooking lush olive groves and the Aegean Sea. 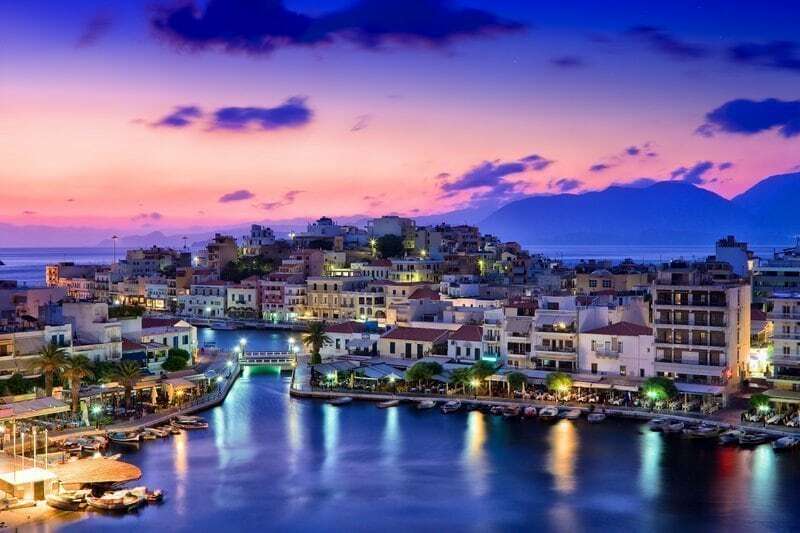 Crete is the biggest Greek island. Buying a secondary residence or vacation property on the island of Crete will grant you a freedom unlike any other. Explore the rustic terrain, rich with history and culture, and return home to the comfort of a beautiful Mediterranean-style residence with a veranda and sea view or an exceptional contemporary-design villa. As the second largest island, Evia is one of the greatest Greek beauties next to Crete. To acquire a seaside house in Evia, with a swimming pool, breathtaking panorama, and a garden full of olive and citrus trees, is to stop and smell the roses.